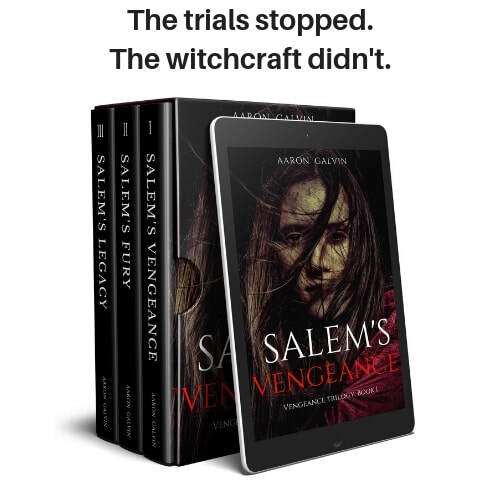 ​Start the series with Salem's Vengeance, or get the whole trilogy and save 20% by purchasing the discounted bundle. For Puritan teenager Sarah Kelly, freedom comes with the moonlight. Growing up in the post-Salem colonies, night is the only time she and her friends have to steal away into the woods and shed the humble constraints society places upon them. But while Sarah hopes only for innocent dancing beneath the moon, some of her friends seek darker answers. 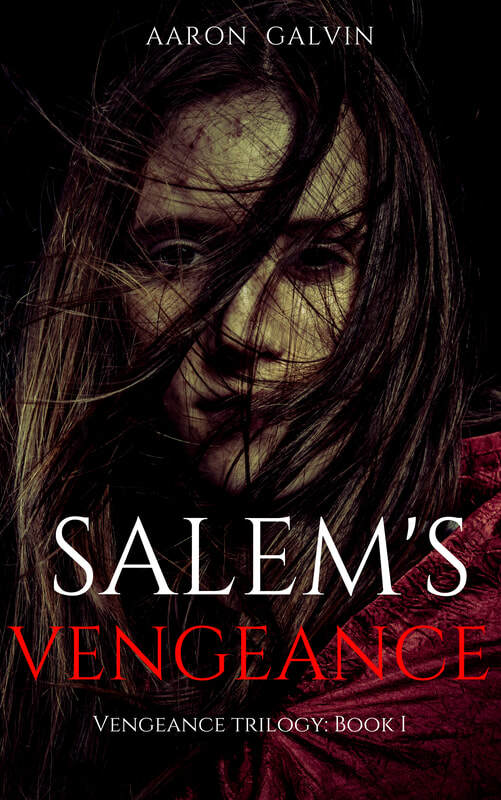 Salem's Vengeance is the first in a trilogy set nineteen years after the Salem witch trials ended. ​If you like suspenseful thrillers, a touch of horror, and your history with a side of bloodshed, you'll love this action-packed series. ​Click on your favorite retailer below to start the series and discover what happened after the Salem trials. 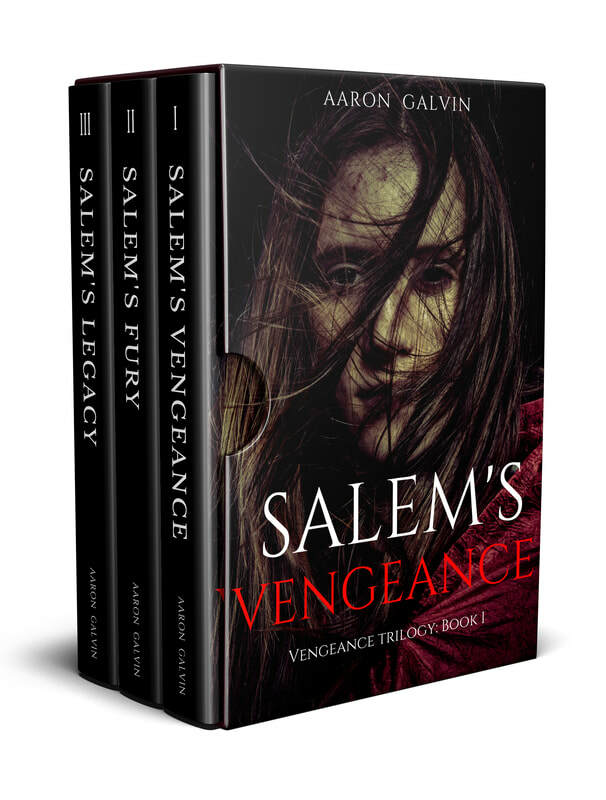 For a limited time, you can save 20% and get all three books in the Salem's Vengeance trilogy by purchasing this special discounted bundle.